We had Thanksgiving back home in Binghamton for the first time in many years, and – in addition to having a delicious family meal on Thursday – we packed a lot of fun into the weekend. 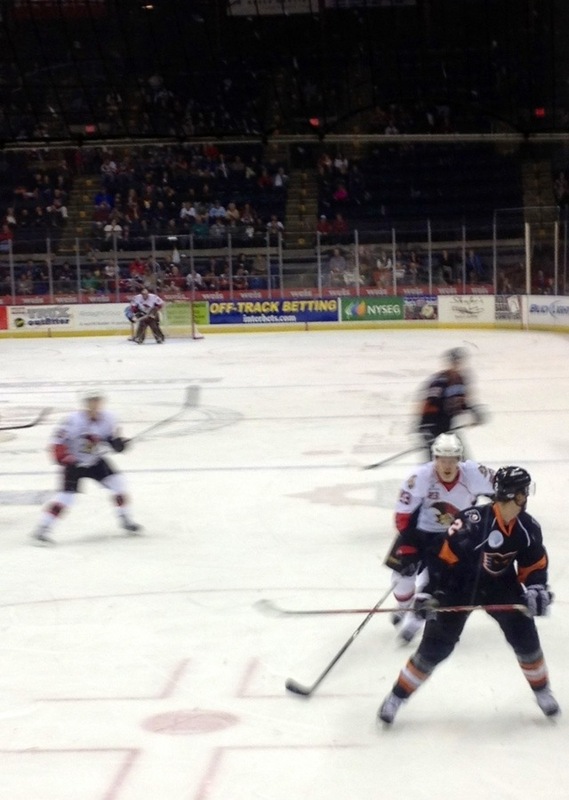 On Thursday night, we dragged our full bellies and turkey comas over to the Broome County Veterans Memorial Arena to watch the Binghamton Senators play the Adirondack Phantoms. I haven’t been there for a hockey game in years, but to be honest, it hasn’t changed a whole lot, though it was smaller than I remember – kind of the sports venue equivalent of going back to elementary school and thinking the cafeteria looks tiny. 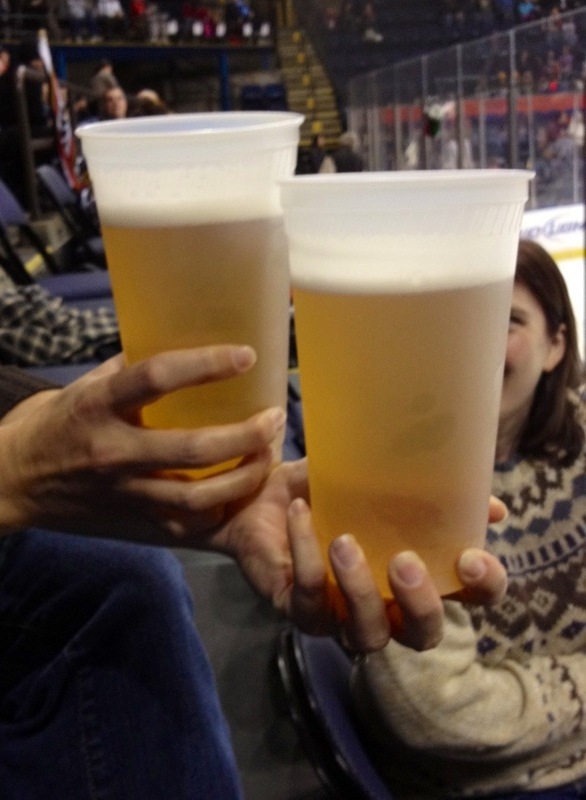 The beers, however were enormous. And very cheap. Friday was “keep the kids entertained” day, which involved a trip to the Story Garden at the Discovery Center, where we put baby James into a teacup and took pictures, among other things. 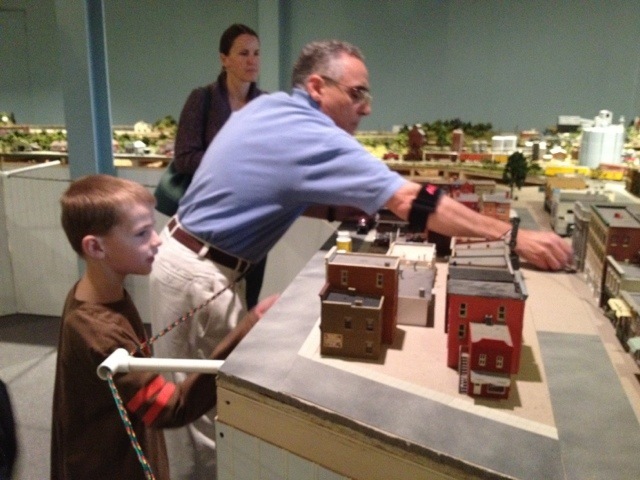 We also went over to the Roberson Center, to see the annual model train exhibit. It’s much bigger than I remember, and was set up in a demonstration gallery, so the train masters were working on the setup while we were there. D & G got to pick out people/objects to be included in the streetscape, which one of the volunteers then glued into place for them. I think they found it pretty cool – though I’m pretty sure they wanted to get their hands on the glue and go to town. 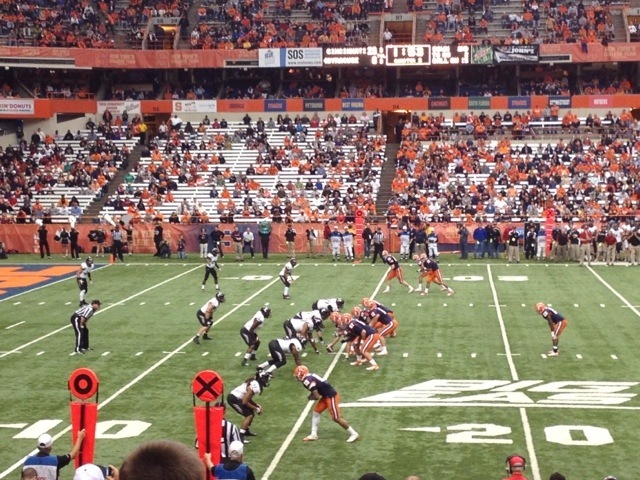 On Saturday, we joined some friends for a jaunt up to Syracuse to see the Orangemen play football. Or try to… It did not go well for them, but we all had fun nevertheless. 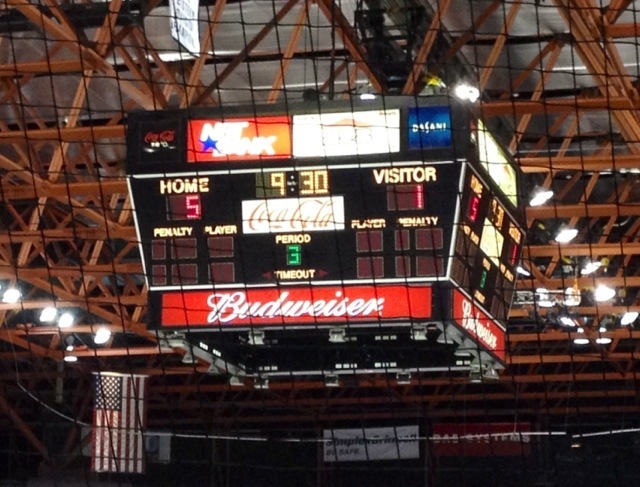 Needless to say, I could use a weekend to recover from my weekend, but alas, ’twas not to be. I’m sorry Sarah, but never in my life have I seen you and running used in the same sentence. I’m not sure I’ve ever seen you run at all? Your typical reply to any running comment has been, “is my life in imminent danger?” THAT is the picture that should have been posted! Fortunately, the running was not photographed, but it was witnessed, so Brian, Jen, Eileen, and Chris can all vouch that it did, in fact, happen. Hey, you forgot to add The Muppet Movie and that you “paid for your supper” by setting up my new model iPhone and upgrading/syncing my other tech devices! :). :). 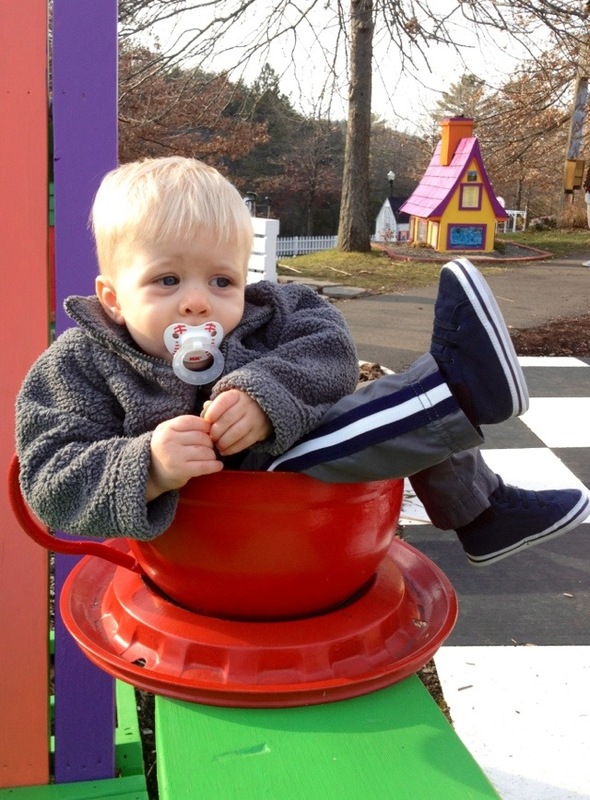 And a lot of playing outdoors for some of us on a very mild weekend of Upstate New York weather for November! A LOT OF FUN, for sure!! I didn’t have any pictures for the Muppets or the tech support extravaganza, so I left them out… but I probably shouldn’t have.